Building and testing effective landing pages is reported as one of the Top Five Challenges faced by marketers (source) – but using these shouldn’t be a burden. For an in-depth analysis of the elements that make up landing pages, take a look at this helpful “Anatomy of a Landing Page” article from our partners at Unbounce. Below, we summarize how day and boarding schools implement this fantastic resource to amplify their marketing. Unbounce recommends that you link everything on your landing page to your organization’s Unique Selling Proposition (USP) by using a central and supporting headline, as well as peppering reinforcement statements throughout the body of your content on the rest of the page. At EMG, we develop campaigns and landing page strategies that tie directly into your goal, establishing the critical point where your message meets your audience. What could this mean for independent schools? Focus on the reason: why did you create the landing page? Was your goal to help generate more inquiries during a slow enrollment period, or to boost registrations for your fall open house? Ensure that all of your messaging is focused on driving the specific goal you would like to obtain. If the main purpose of your landing page is to develop interest in a particular grade, confirm that your headlines, media, and proof points (covered below) represent the benefits of a family enrolling their child into that grade or program. What is a “hero shot”? Simply put, it is a captivating image or video that perfectly communicates to the viewer how they would benefit from the service you are promoting. Similar to your school’s viewbook, the quality of media on your landing page matters. Xerox reports that users are 80% more likely to read content that is combined with bold, attention-grabbing imagery. A study by Eyeview Digital makes an equally compelling case for video: using video on landing pages can increase conversions by 80%! As a bonus, you’ll be able to use and re-use this content for everything from your landing pages and emails to the tables at your school’s admissions fair. What specific benefits or experiences will your community provide for families and students? Your landing page should provide answers to questions that frequently come up during open houses, private tours, and phone conversations with prospective families. 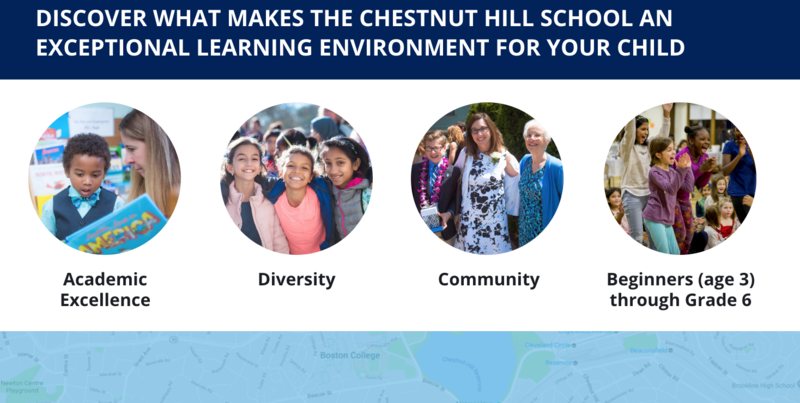 A bullet point list with a summary of benefits or a designed layout with images or graphics will naturally guide the user’s eyes from your headline to the compelling reasons why a family should choose your school. Example: EMG partners at The Bright School focused on 3 main unique selling points just below their call-to-action, form, and headline (live example: admissions.brightschool.com). Search Engine Land reports 88% of consumers trust testimonials and reviews. Testimonials and quotes from students, alumni, and parents addressing the unique characteristics of your school or organization can speak volumes to your desired audience on their level. Use this real estate effectively! Make sure to test what messaging works best for each of your audiences. Example: If you don’t have a quote from a family or graduate handy, quotes from key faculty and administration are just as impactful. In the example below, a quote from the Head of School at Pine Point School provides a specific account of what engaged learning means at Pine Point (live example: admissions.pinepoint.org). Last, but certainly not least, Unbounce reminds us to focus on our primary Call-to-Action (CTA). What is the desired outcome of a parent clicking on an ad for your pre-k program? If you’d like to address low registration numbers for open houses, focus your message on the benefits of your pre-K program and your CTA – or form – on your next pre-K enrollment event. If you’re using a form, make certain that it is visible and easily accessible on all devices. Try to avoid using forms with too many questions. If you’ve been on the fence about whether to reduce the number of questions on your school’s inquiry form, consider research from Pagewiz that reports reducing your form fields from 11 to 4 can result in a 120% increase in conversions. Example: We partnered with Cambridge Friends School to drive traffic to an evergreen landing page that can be used at any point during the admission cycle with a general “Request info” CTA. As you can see, users that land on this page clearly know how they can take the next step in their journey (live example: admissions.cfsmass.org). By following these tips and utilizing them alongside campaigns driving traffic to your school’s landing pages, you will note a significant improvement with lead generation and digital engagement. If you’d like a helping hand with discussing or implementing a landing page strategy for your school or organization, let us know! We would love to help. After starting his career in enrollment management at Boston University in 2006, Jake went on to pursue his passion for digital marketing and technology at Google in 2008. Since his early beginnings in digital marketing, Jake was driven by applying his experience building client solutions and teams at Google, Carnegie Dartlet, and DigitasLBi to make a measurable client-side impact at Walnut Hill School for the Arts and Emerson College. As Co-Founder of Enroll Media Group, Jake brings his knowledge of digital marketing – and the unique challenges that schools and nonprofit organizations face each day – to help individuals and institutions thrive.